Generate meaningful business portfolio growth, reimagine the customer experience, and deliver long-term loyalty. 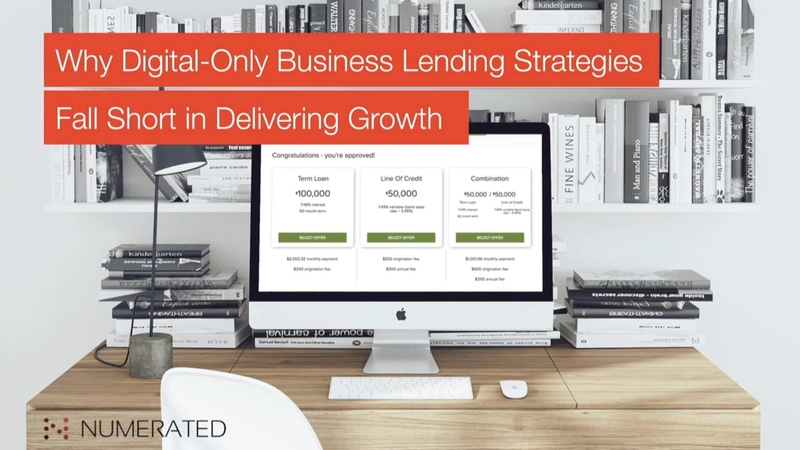 Digital-only business lending strategies discount the human factor involved in making large financial decisions, and deprive banks the opportunity to deepen relationships and expand share-of-wallet. Top relationship banks are integrating the speed and efficiency gains of digital lending with technology that empowers their bankers to identify quality businesses, close loans in new ways, and go beyond the loan transaction to gather deposits and cross-sell products.